National ParkRx Day is Sunday, April 29. This growing movement encourages everyone to see park visits as important to health and wellness. Leading up to National ParkRx Day, we are featuring members of our community who have seen their health and well-being improved by being active in their parks. 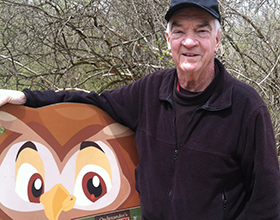 Centerville resident Tom McGavick is the second in our series of profiles! How do you spend your time in the parks that most affects your health and well-being? What types of improvements have you seen in your health and/or medical tests that you feel were a result of being in the parks? What health benefits have you experienced from outdoor exercise that you have not seen from indoor exercise? Which parks are your favorite(s)? Why? Do you have any additional thoughts or comments you would like to add?